Thirty-four men and women yesterday took the first step to becoming Maryland Natural Resources Police officers when they were sworn in as the agency’s 59th basic recruit class. The class is the largest in the department’s history and is beginning its training as the agency celebrates its 150th anniversary. Created by the Maryland General Assembly in 1868 as the State Oyster Police Force, the Natural Resources Police is Maryland’s oldest state police department and one of the oldest state conservation law enforcement agencies in the nation. The diverse set of officer-candidates come from 16 Maryland counties and Baltimore City as well and Massachusetts, New Jersey, Pennsylvania and Virginia. 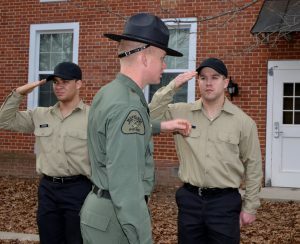 Six graduated from the Natural Resources Police cadet program. The more than seven-month curriculum covers basic police policies and procedures, with additional emphasis on conservation law enforcement. Classroom instruction is held at the Maryland Police and Correctional Training Center in Sykesville. 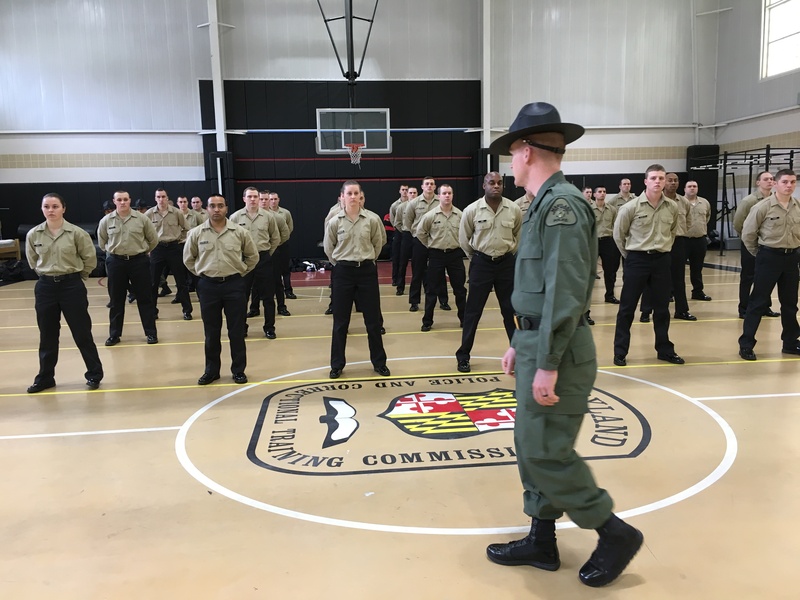 Recruits receive additional training in the field, on water, in courtrooms and specialized settings. Officers have the same authority as Maryland State Police troopers. In addition to enforcing state conservation and maritime laws, the agency conducts search-and-rescue operations and is charged with being the lead agency for maritime homeland security efforts. It also provides safety courses each year for thousands of boaters and hunters. The recruits will graduate Nov. 3 and join a force that has an authorized strength of 278 sworn officers. The probationary officers will be paired with department veteran for additional field training in the agency’s eight patrol areas.